I graduated with a Psychology degree in 2006 and was given an opportunity to be on a graduate training scheme with a charity with services to support individuals with mental health issues and substance misuse. I found that my passion and interest was in working within substance misuse field and in developing meaningful ways to engage service users in recovery based interventions to support them and their families. I joined ADS in 2008 as a Practitioner working in the East Riding. I enjoyed working with service users as part of multi-disciplinary team and found I loved 1:1 work with service users and helping them to achieve their goals. My interest within the field grew and grew and I felt really strongly about the recovery agenda and a strengths based approach to working in this field. Since this time, I have been fortunate enough to progress in my career, working as a Practice Lead and developing evidence based quality services and now as a Team Leader in Doncaster. My career has progressed so much since joining this organisation. I now work as a Team Leader in Doncaster, providing a service that works within a strong recovery community. My team operates out of 4 different geographical locations and we have been able to set up community hubs, utilising staff and Peer Mentor skills as well the assets from within these communities. I enjoy supporting staff to deliver high quality effective interventions for our service users and finding ways in which we can engage with service users. I enjoy working with such a diverse, experienced staff group and utilising the skills and experience this brings to our service, using everyone’s strengths to provide a quality and effective service. I feel that I can use my 9 years’ experience working with service users to support others within the organisation and to continue to develop our practice within this field. Before joining ADS I completed a three year undergraduate degree in Forensic Psychology. During this time I completed my placement at the drug and alcohol service which allowed me to experience many different areas of the service. This enabled me to get a taste of what it was like to work within this field and to gain some skills and experience for my future career. I joined ADS as a Support Worker in 2014 and then progressed to a Recovery Worker in 2015. I have been working as a Case Manager for the past ten months which has increased not only my skill set but my confidence and expertise. 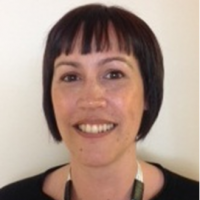 My role entails working 1:1 with clients, harm minimisation, psychosocial interventions, group work and liaising with other agencies such as housing, mental health services and social care for core groups and case conferences. After completing my placement at the drug and alcohol service it highlighted my desire to work within this area and to continue to expand my skills. I have a passion for making positive changes in people’s lives and helping individuals with their recovery. I found that I enjoyed working with the service users and wanted to continue to gain professional experience within this area. Starting as a Support Worker helped me to understand the different roles that are available within the service and the benefits and positive impact that these roles can have on the service users. I am passionate about my work and making a difference in people’s lives. I enjoy working 1:1 with my clients and building relationships. My job role is very diverse and I enjoy the challenges of what each day can bring. The vast expertise of my colleagues not only help other employees to expand their skill set and knowledge but also means that service users can receive a more extensive and specialist level of care . 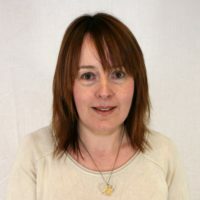 Before joining the ADS Terri had worked within drug and alcohol services for five years, starting in young peoples services before undertaking a Masters Degree in Social Work two years ago. Terri is now completing her Assessed and Supported Year in Employment (ASYE) with us. I joined ADS as treatment and support for addictions was my specialism before I trained as a social worker and I always intended to return to the field post qualification. I have always found this area interesting, supporting people to affect really positive change in their lives and move forward gives me a great deal of satisfaction. I have been given the opportunity to expand and develp on my social work training through the ASYE which helps me maintain my skills and constantly refresh my practice. I work on a one to one basis with a varied caseload of clients; this means each working day is different and challenging in its own unique way. My role in the aftercare team also means that I am able to facilitate a number of support groups with different purposes. This has helped develop my knowledge and my skills as a practitioner. My role is always interesting and I am given the opportunity to be creative with my practice to increase the recovery capital for service users. My role of Practice Development Manager enables me to directly influence practice not just within the service I work in but across the whole organization. I chair the practice Forum which consists of all the Practice Leads from across the organisation. Through this role I have been able to facilitate the exchange of good practice and the development of many new and exciting innovations. 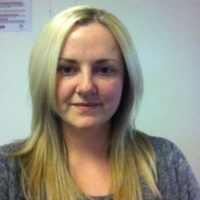 Before joining ADS Charlotte had just completed her BA (Hons) Degree in Social Work. Charlotte had, as part of her social work training, undertaken her final placement in a young person’s drug and alcohol service where her interest in working within the drug and alcohol sector grew. 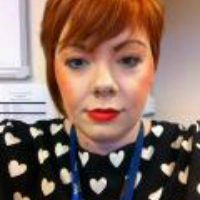 Charlotte is now looking to complete her Assessed and Supported Year in Employment (ASYE) with us. I joined ADS as I have always had a keen interest in working within the drug and alcohol sector. Further to this both of my practice placements during my degree involved drug and alcohol work to some varying degree. During my time at ADS I have found that the work we do is extremely rewarding. Supporting clients through first accessing treatment up into recovery is what makes my work so exciting. I have always aspired to help and enable people to make positive change and feel working for ADS I am able to achieve this. The most exciting thing about my work is that I can put everything I have learned at university in practice. Because of the varying group of clients I work with, each of them is different and therefore a different approach is needed. My days at work are always busy and new challenges present daily. I feel my skills and knowledge around substance misuse is growing daily and will continue to grow and enable me to support clients in the best way possible. 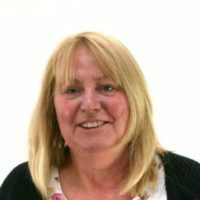 Anne has a Masters Degree in Counselling and has worked for the Drug service in North East Lincolnshire since joining the Alcohol & Drug Service as a Practitioner. Becoming Practice Lead has enabled me to guide the evolving role of the Junction Practitioners towards proactively focusing on a Recovery Oriented treatment approach. This has included the enhancement of clinics by true partnership working with supportive local agencies; for example the local user group has become a regular presence at our Recovery and Shared Care clinics acting as peer mentors to our recovering service users. These new ways of working are facilitated by discussion at our Practitioners Circle which is a new forum driven by the objectives of sharing best practice, training and new initiatives for the benefit of our service users and the organisation as a whole.